[Disclaimer: I received a copy of this book from the publisher on NetGalley. ]I did not finish this book, abandoned it at 40%. It read like an undergraduate research paper, and essentially regurgitated a bunch of research that had already been done, with no new revelations or anything remotely interesting that I couldn't have found out from other historians already. The formatting of the copy I received was horrible, words stuck together, words split in half into new paragraphs, and it was next to impossible to tell when the author had switched back to her own words from the story she was retelling. While the stories themselves were interesting, they were few and far between, nowhere near as prevalent as I expected, and did not have any analysis other than rewording what the story had just said. The writing was dry, extremely unfocused, and, if the author was going for a scholarly work, there were a lot of unprofessional interjections. Beveridge excavates northern European fairy tales looking for the earliest versions, before they were romanticized by 19th century nationalism or changed by Christian monks writing them down. I was hoping for Elizabeth Wayland Barber style analysis of why trolls, crones, mermaids, sets of three things, talking animals and certain dates were so important to people, using archaeology and craft skills as clues, but this is a fairly straight recounting of some of the core stories. Beveridge has written a fairly engaging book on the motifs of Norse and Celtic folktales, mythological cycles and possible pagan religious concepts. She has a tendency to get a little purple prose-y talking about her preferred folktales (it's always "starkly haunting" or some such) and sometimes it can get frustrating when she discusses two nearly identical stories several chapters apart, but the research is solid, and the history is fascinating. She says that she chose Norse and Celtic stories mainly for practical reasons-- both communities actually managed to save a decent portion of their folk stories-- and I believe it, since despite the similarities, she never seems to really want to discuss the whys and hows of those similarities. The book is not hyper-academic, but it's definitely thoughtful and I learned plenty about the history of salvaging pagan stories in the context of fairy tales. I'm really enjoying reading Children into Swans. I read a lot of Fantasy type books and I was interested in learning a bit out the linkages of recent stories to older fairy and folk tales. I was also interested to learn more about some of the very old tales that I'd heard only bits about. 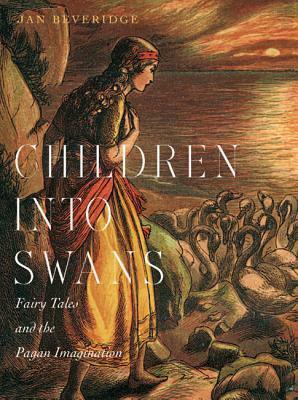 Children into Swans gave me an appreciation for how these ancient stories impact our lives today. I was amazed to learn how many of the fantasy books that I read have borrowed or evolved contents from old folk and fairy tales. I also really enjoyed learning about the history of the manuscripts themselves - some of them have survived some pretty incredible adventures.I find the book well organized - each chapter diving into a different theme or idea and it reads easily. I would highly recommend this book to fantasy buffs and folks who have an interest in the roots behind many of our traditions and oldest stories. A powerhouse of an introduction to the vast subject that is Fairy tales, and their roots. Using the Celtic, and Norse sources that can be traced previous to Christianity's introduction and influence. Beveridge traces the history of these early sources, and the eventual collectors of European folklore that gives us the stories that we know today.The strong bones of further study are offered here with the deconstruction of fairy tales into their elements of character, and themes; each chapter offering one-page representative stories to illustrate the topic. The readers are taken on a journey with fairies, elves, dwarfs, household spirits, water dwellers, giants, souls, and spirits of their development through the stories, and over time, and the way these participants in the tales tell as much about the people that told these stories, as it does about the clues to the deeper meanings, and clues to clearer understanding of these extremely old stories that have swirled through Northwestern Europe for long centuries before they were ever written down.Next the journey moves onward to explore into the realms of motifs that are so familiar to any listener, or reader of fairy tales. The times of the year that are open to magic, wishes/dreams, triples, shape-shifting, omens/prophecies, between the worlds, spells, trees, and the Unseen World.Each chapter examines these parts for their cultural significance so that we can learn more about the time, people, and places they were told because, like in a good fairy tale, aren't rational, or coherent . Time moves differently. Borders are unclear, and moving. In the end, fairy tales are about the strength of right values, faith in courage, and a good heart when keeping one's world. Traits that would do anyone well in a society, and, when we encounter the Other World. An excellent read. I highly recommend this book to anyone interested in folklore or fairy tales. Since I read a lot of urban fantasy novels I've noticed the same names popping up rather often. Irish, Celtic, Norse, all types of gods, goddesses and strange folk appear over and over. I thought this book might be a good place to put some fact behind the fiction and see what was real and what was probably just made up for a specific novel. I was very surprised to find that so often the modern author of urban fantasy does take note of historical stories and other-worldly beings in their novels. Author Jan Beveridge provided me with all types of information regarding the characters, legends and stories I've been reading about.The material can be somewhat dry and repetitive at times, but that seems to be mostly because the available research material stories have been handed down over such a long period of time that many of the stories tend to mimic each other. This book is a great place to firm up the difference between a dwarf and an elf in your own mind - should you need to get that distinction straight. You will read about the well known fairies, elves, dwarfs, giants, and witches plus my favorites, the house spirits and brownies. Irish, Scottish, Scandinavian, Germanic, Norse, all of these peoples and more contributed to the oral history of these creatures from other realms and eventually began to commit the stories to writing. Changes to the stories happened with the growth of Christianity and time periods such as the Victorian Age. For someone who is interested in general information about the fairy tales which so often have a recurring theme and who want to see examples of the difference between a fairy tale and a folk tale, this book will give you a lot of material to think about. It definitely answered my questions about the characters I see utilized in modern novels. There are a large number of notes at the end of the book if you are interested in delving further into any specific portion of the information provided.I received an ARC of this book through NetGalley. The opinions expressed are my own. I enjoyed this book a lot. I have read quite a few books about fairy tales, but have never come upon one that looks at the genre from this point of view, which is that stories with some fairy tale subject matter had been told for centuries before there were actually fairy tales. The author examines elves, trolls, mermaids, and so on, in European literature from the Early Middle Ages. Throughout the book are examples of ancient stories, some of them from one important Irish manuscript which the author keeps coming back to, and to the scribe who wrote it. This gives the book an engaging focus. The old stories are wild and quite extraordinary, and before I read the book I was not familiar with this literature. I found this book definitely worth reading. Fantastic read! Tolkien scholars (like myself) will truly enjoy all the background on Celtic and Norse literature, spirituality and mythology. Also, if you like Jack Zipes and Maria Tatar, this is the book for you. A great find for scholars who love to explore the link between fairy tales and folklore. Fine as far as it went. The book limited itself to Celtic and Scandinavian tales, and by omitting much interrelated East European and Slavic material unfortunately missed out on a much deeper level of understanding. It also only showed that fairy tales are derived from myth, without consideration of the deeper meaning of the underlying mythologies. A collection of Norse and Celtic fairytales and a the history behind them.It was interesting but some where a bit confusing as they were similar.As my purpose is not academic and I just wanted to read the fairytales it was a bit too much at times, but still well researched and I read more than I thought I would. Well researched, this a collection of Norse and Celtic fairy tales and their origins. I thought it was only going to be the stories but there is a tremendous amount of research in this book. Being a fairy tale fanatic I thoroughly enjoyed the stories but I did get a bit bogged down by all the background. I thought this was going to be a story but it is more a historical research paper compiling the similarities of fairy tales and folk lore from across Europe. I enjoyed parts of the book that actually told the tales but the the comparisons and data, not so much.